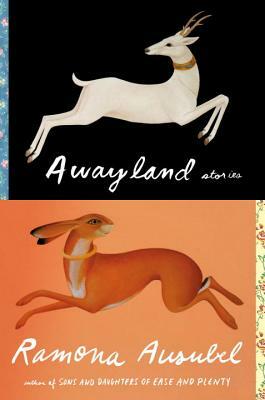 Crisscrossing the pages of Awayland are travelers and expats, shadows and ghosts. A girl watches as her homesick mother slowly dissolves into literal mist. The mayor of a small Midwestern town offers a strange prize, for stranger reasons, to the parents of any baby born on Lenin's birthday. A chef bound for Mars begins an even more treacherous journey much closer to home. And a lonely heart searches for love online--never mind that he's a Cyclops. With her signature tenderness, Ramona Ausubel applies a mapmaker's eye to landscapes both real and imagined, all the while providing a keen guide to the wild, uncharted terrain of the human heart. Ramona Ausubel is a graduate of the MFA program at the University of California, Irvine. She is the author of the novel No One Is Here Except All of Us and the short story collection A Guide to Being Born. Her work has been published in The New Yorker, One Story, The Paris Review Daily, Best American Fantasy, and elsewhere, and has received special mentions in The Best American Short Stories and The Best American Nonrequired Reading. She has been longlisted for the Frank O'Connor International Short Story Award, and was a finalist for the New York Public Library Young Lions Award and the Pushcart Prize.